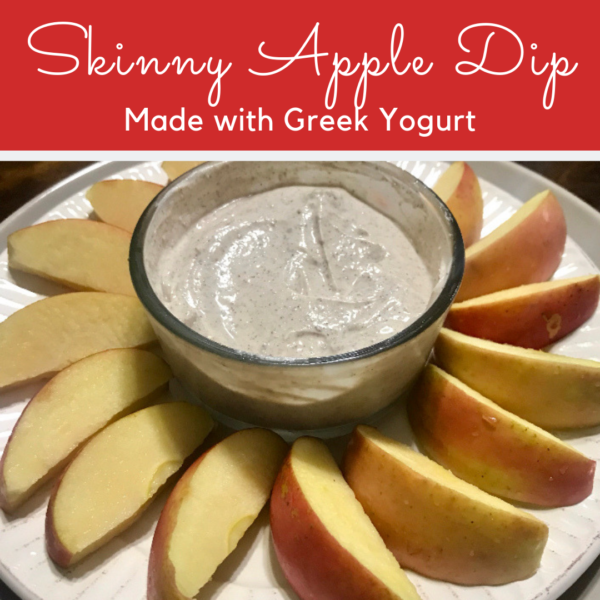 Apples with dip are one of my favorite things to snack on. This recipe is one that both you and your children will love to eat and it only takes 5 minutes to make. In this recipe, you will see that I used my Homemade Pecan Butter but if you do not have this on hand, you can use peanut butter that you have on hand. All you have to do is combine these 4 ingredients and serve with freshly sliced apples. To make this even quicker, I recommend getting an apple slicer because you will have apples sliced in around 5 seconds! Just so you know, there won’t be any leftovers! This delicious dip is made with Greek yogurt and my pecan butter to create an amazing taste that goes perfect with apples and takes 5 minutes to make. Combine the yogurt, vanilla extract, pecan butter, and cinnamon together. Serve chilled with freshly sliced apples.